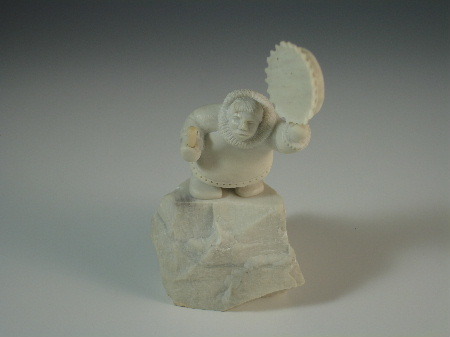 Excellent one piece carving of a drum dancer on a carved base. Typical inspirational piece by Douglas. High level of detail is quite extraordinary.